We are a company owned and operated by a kama'aina family that genuinely cares for our employees and customers. Beyond a genuine family, we are an entire company of incredible individuals who care. Bob Sage, our founder, was born and raised on Oahu, educated at the University of Hawaii, and has been in business on Oahu since 1986. He has over 25 years of experience as a building service contractor and during that time he has obtained certifications from numerous national and international industry organizations such as the Building Service Contractors Association (BSCAI) and the Worldwide Cleaning Industry Association (ISSA). "When I was in the 4th grade at Lanikai Elementary School in Kailua, I started my first business mowing lawns and washing cars in my neighborhood near the school. In addition to that, I held a newspaper route through the 7th grade. It was my experiences in these first years of managing my own business that I discovered the value of providing great customer service. I also learned that I could provide a much better quality service with a helper that was well paid and happy to be working with me. So whether you become a customer or an employee of Federal Maintenance, I will assure you that your time with us will be a great experience." 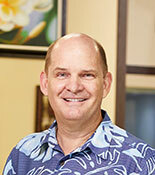 Kuulei Cobb is our Senior Operations Manager and has been a valued member of our staff since 2009. Kuu as we call her was born and raised in Hawaii. 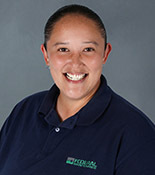 She has the true spirit of aloha and enjoys serving her employees and customers according to our core values. Part of her job is to insure that the work her team performs is done with excellence but more importantly she values the life-long relationships that are built through the course of doing business. In her spare time, Kuu enjoys spending time with her family. Her teammates truly appreciate the aloha that she brings to the office every day! Khalilah Watson is our Human Resources Coordinator. She graduated from Wilmington University with a Bachelor’s degree in Human Resources. 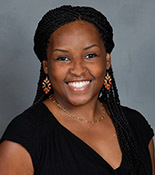 Khalilah has several years of experience in HR, customer service, and project management. In her free time, she enjoys spending time with her family at the beach and exploring Hawaii. Khalilah has a real heart for people and takes great care to understand and serve our employees in a manner consistent with our core values.